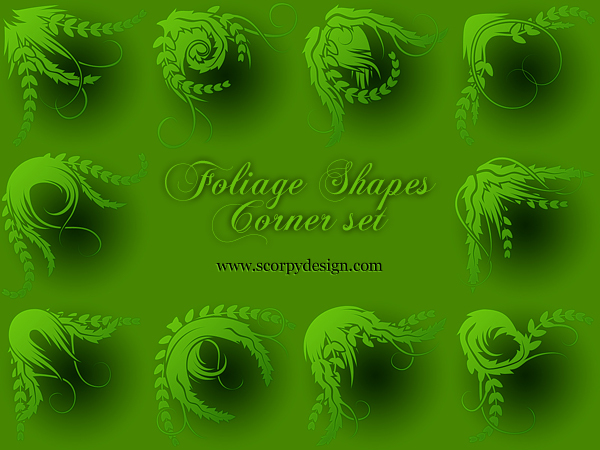 Scorpydesign is happy to release a set of royalty free foliage Photoshop vector pack at an unbelievable cheap price. Hope you have used my blood stroke PSD vector set ( if not, download it for free from here ). If you are satisfied – then you must try this mega release. 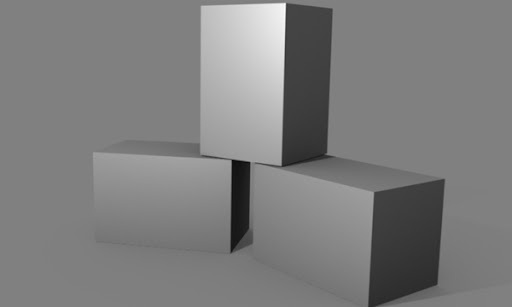 Package contains 10 corner PSD vector shapes created in Photoshop Gradient layer with clipping paths. 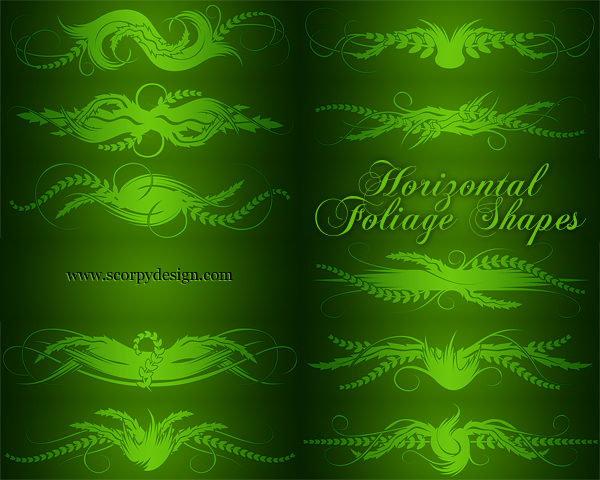 100% PSD vector – full scalable and easy to transform, from 1 corner you can flip to make others sides. Properly named layers – easy to select. Easy change color – place the shape in your design and play with the gradient. Package contains 10 horizontal PSD vector shapes created in Photoshop Gradient layer with clipping paths. 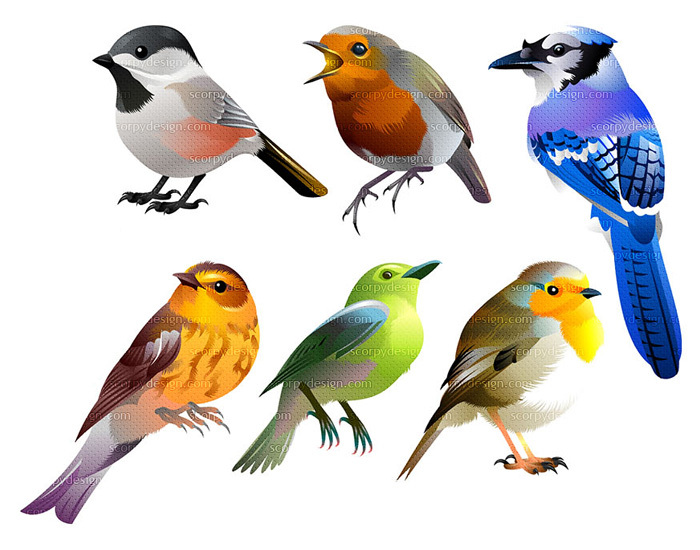 100% PSD vector – full scalable and easy to transform, from 1 shape you can flip to make others sides. Don’t buy this pack until you try the blood stroke photoshop vector shapes. Download it for free here. 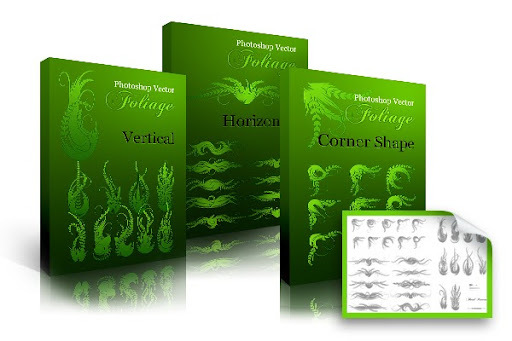 Package contains 10 vertical PSD vector shapes created in Photoshop Gradient layer with clipping paths. And that's not all – you can have all these 30 graphics for the horizontal, vertical and corner PSD vector sets for just 13$. The vector EPS file, containing all the vector shapes, which has been used to create this pack, is also included in this pack for free. So grab the load to save 2$ and to get the bonus EPS. Try before you buy – download blood stroke photoshop shapes for free from here.